Delphine de Vigan is striking: tall with long, blonde curly hair and a smile which lights up her face, powerful and gentle at the same time. We found a quiet corner in the café of her hotel in Brive, which was bustling with publishers, writers and journalists, and she talked about her career as a writer. Two of her novels, No et Moi (No and Me) and D’après une histoire vraie (Based on a True Story) have been made into successful films. 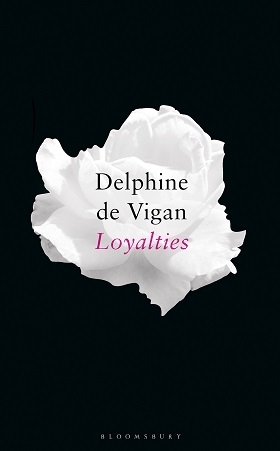 Many more have been translated into English, and her latest – Loyalties –was published by Bloomsbury in January. 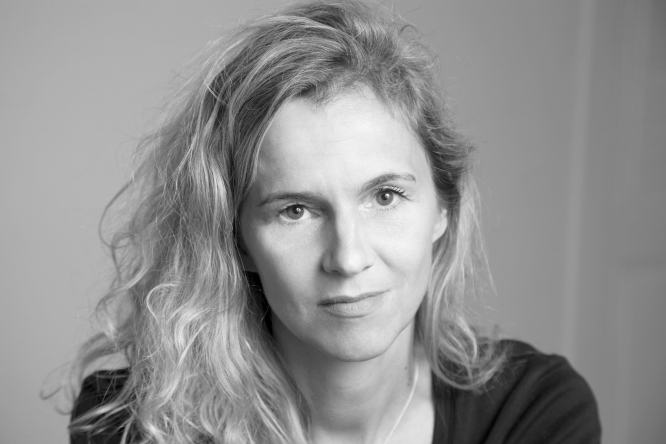 Her books explore the relationship between fiction and reality and are often based on her own experiences – in Based on a True Story the heroine is an author and called Delphine. There are four different characters: two women, one a biology teacher and the other the mother of a young boy who is the third character, along with another young boy both of whom are 13, so on the threshold of being adolescent. The four characters are at a crucial moment in their lives, where – in a painful way – they will have to face the question of loyalty, for different reasons, for each one. Why did you choose this theme. Was it because you think it is one which is of interest to many people? No, because I don’t really think about the reader when I write. It was more that I chose a theme which interests me because it is something I often ask myself – am I loyal or disloyal?